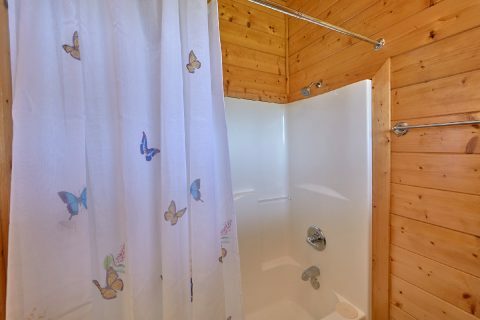 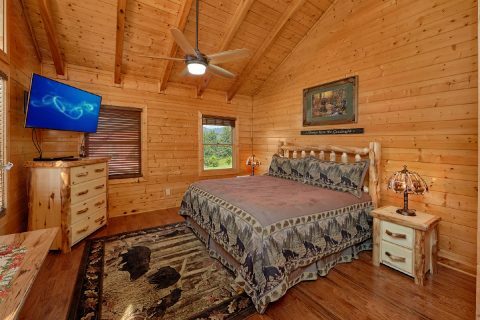 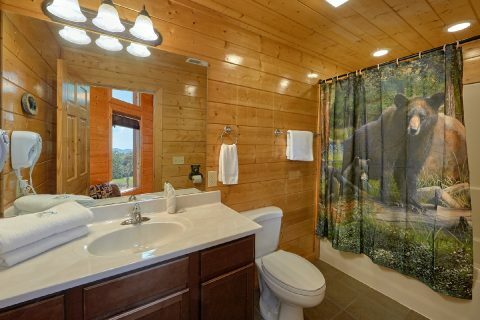 Honey Bear," one of our Wears Valley cabin rentals, places guests near Pigeon Forge, providing the perfect location for a vacation in the Smokies. 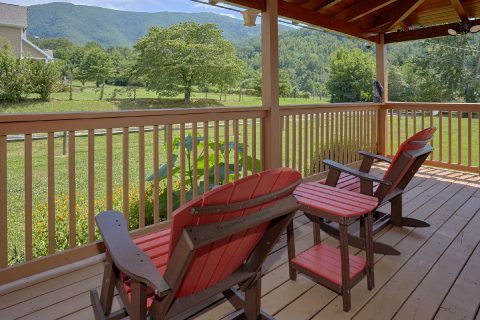 With mountain views and 3 spacious bedrooms accommodating up to 9 guests, "Honey Bear" stands out from other cabins for rent in Wears Valley and is the perfect choice for a large family or small group. 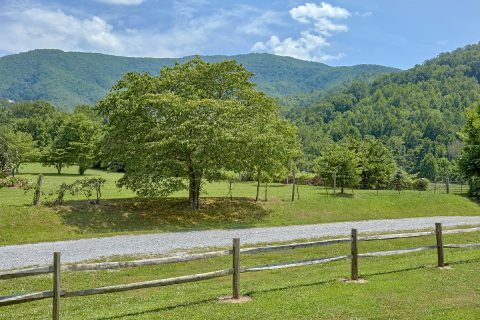 Located on a large plot of land, this property differs from other Wears Valley cabin rentals built in communities with small plots. 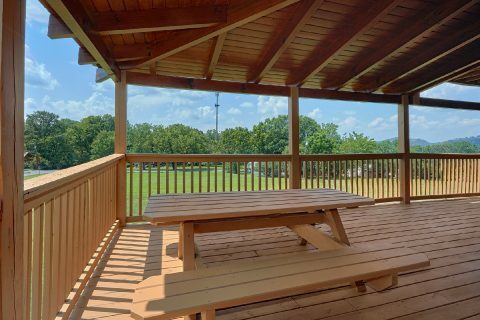 There's plenty of space for your family to host football tournaments and run free in the outdoors. 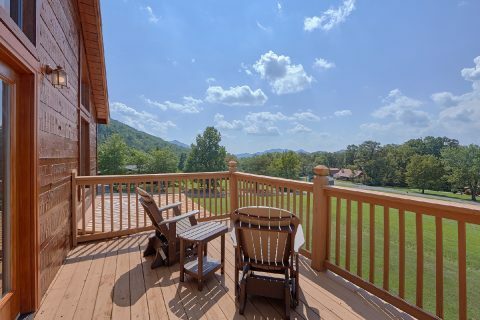 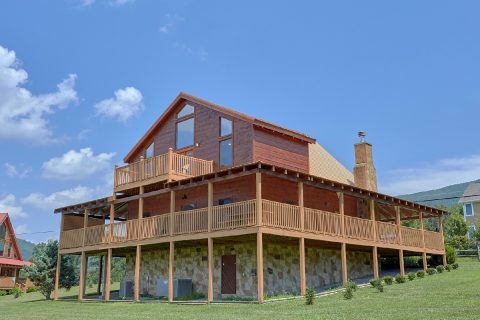 Additionally, the massive wrap-around deck that encircles the entire cabin gives guests plenty of space to enjoy the beautiful Smoky Mountain views. 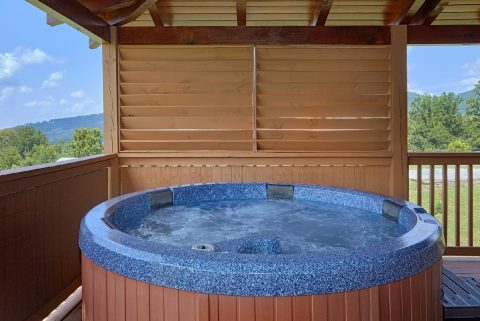 Relax in the warm, bubbling waters of the year-round hot tub. 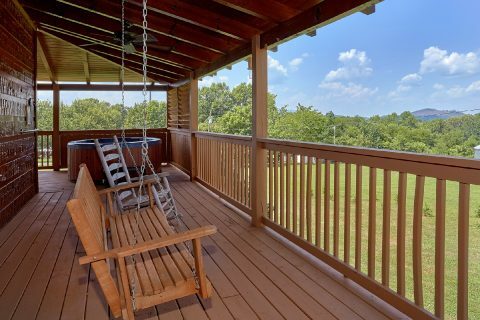 Gently rock back and forth in the porch swing or in the rocking chairs and watch the sunset over the hills. 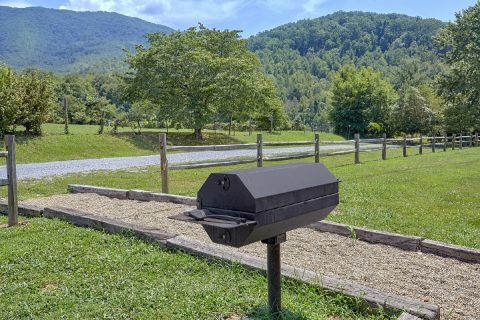 Enjoy a cook out with the cabin's charcoal grill and picnic table. 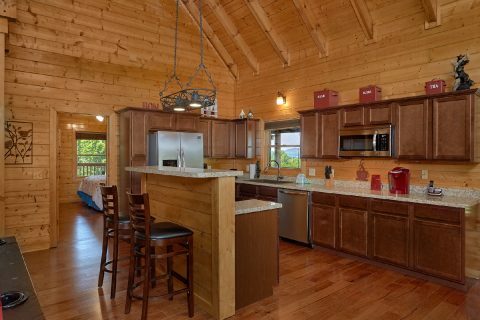 Inside, family members can enjoy games of pool while dinner is prepared in the fully equipped kitchen. 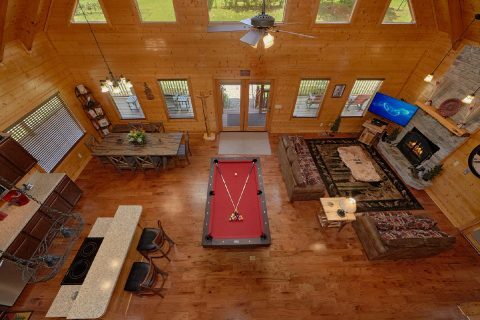 Evenings provide a great opportunity to gather the family together for a nice movie night in the living room! 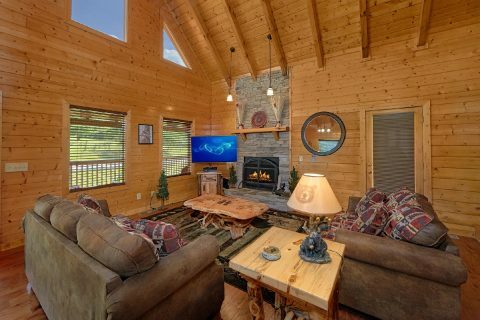 Grab a movie from the cabin's DVD library and let the fun begin! 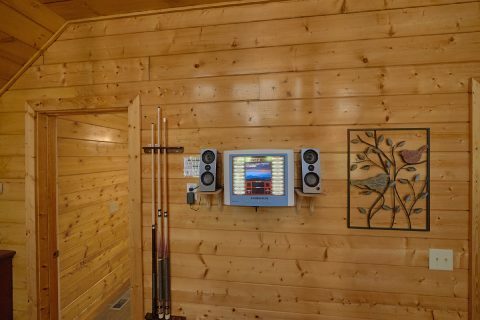 More fun can be found with the cabin's jukebox! 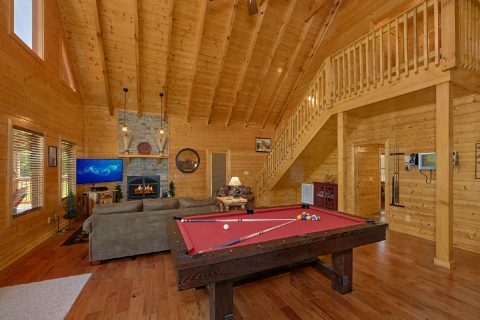 Enjoy a fun game of billiards on the pool table! 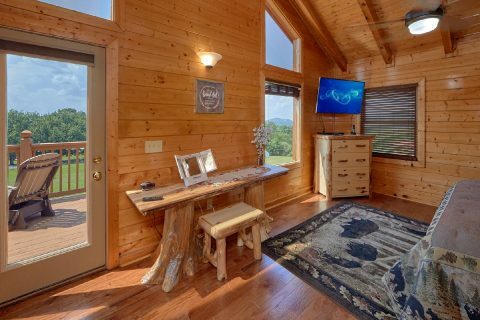 Your cabin's WiFi Internet access allows guests to share their daily adventures in the Smokies with friends and family back home. 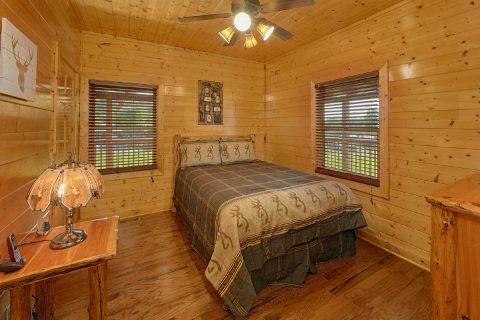 The master suite offers a king size bed, an extra futon, and in-room jacuzzi, while the other two bedrooms provide comfortable queen beds. 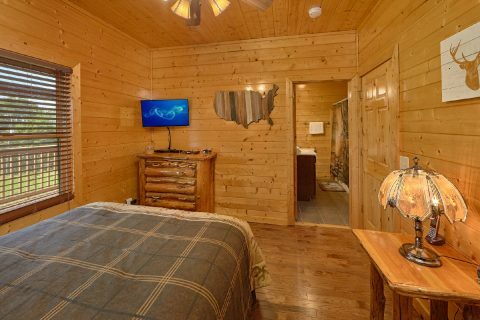 Each bedroom contains a television with Blu-Ray DVD player for private entertainment. 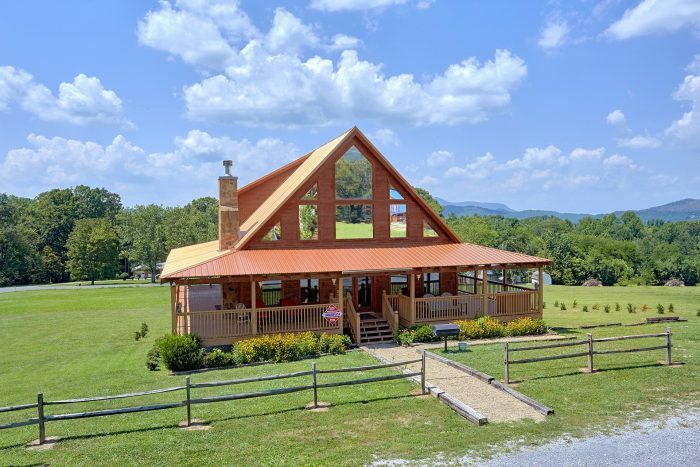 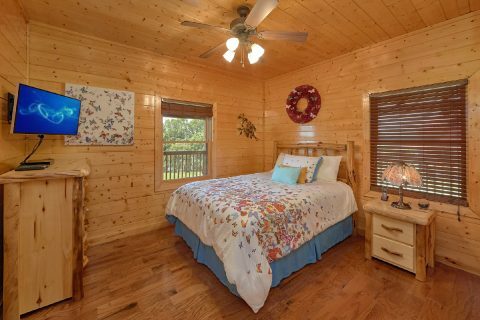 "Honey Bear, " like several of our cabins in Wears Valley near Pigeon Forge, offers a very short scenic drive to this action-packed city with plenty of family attractions, shows, museums, and more. 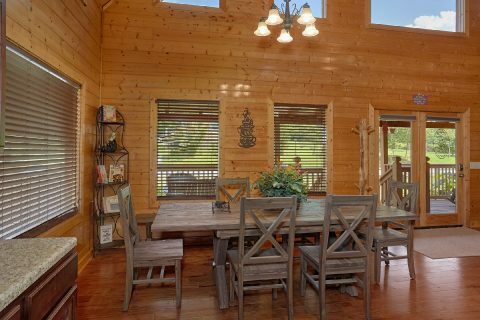 Nearby Townsend, in the opposite direction, offers guests a more relaxed scenic setting with mom-pop restaurants, antique shops, and unique wood carvings along the way. 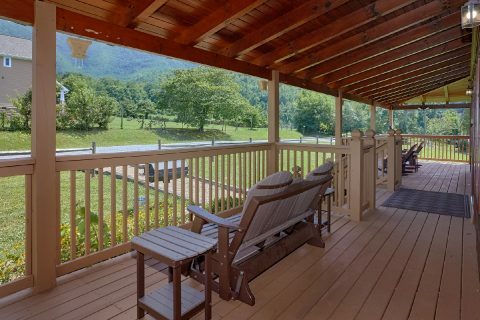 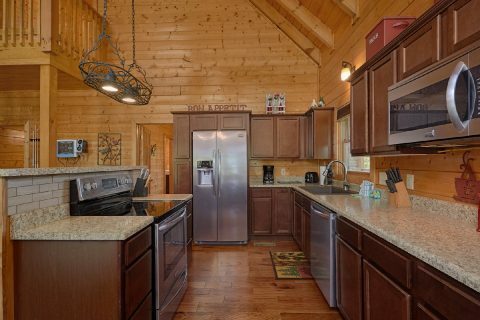 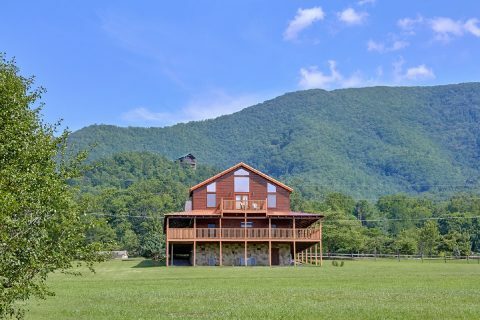 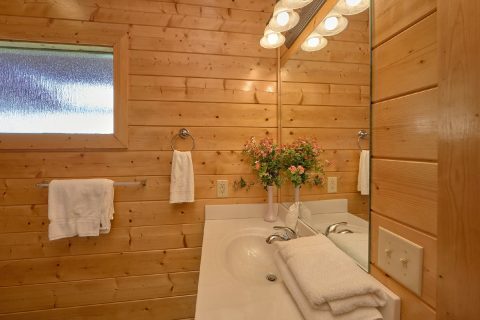 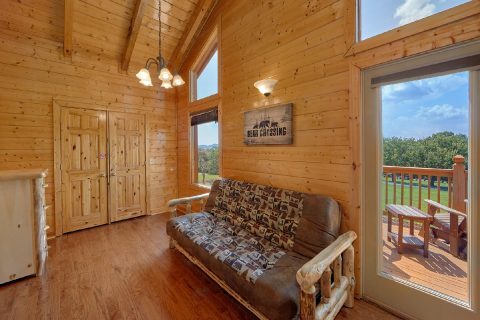 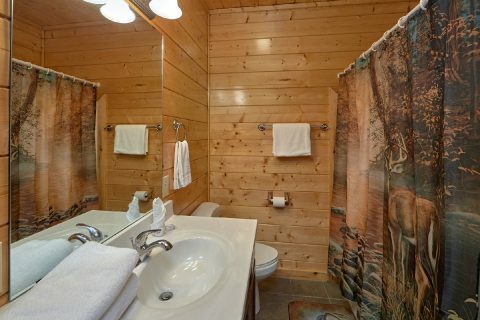 This Wears Valley cabin rental lays in the perfect setting from which the entire family can experience the breadth of all the Tennessee Smoky Mountains has to offer. 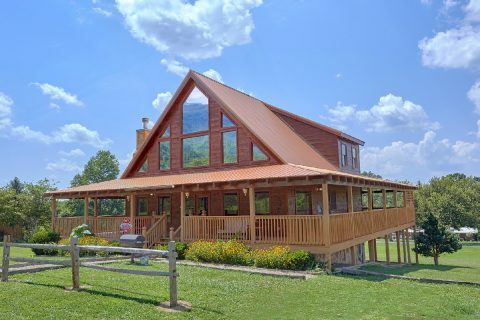 Book "Honey Bear" or any of our cabins for rent in Wears Valley online with Cabins USA for an immediate Online Cabin Discount and start to one of the most memorable Tennessee Smoky Mountain vacations your family has ever been on!